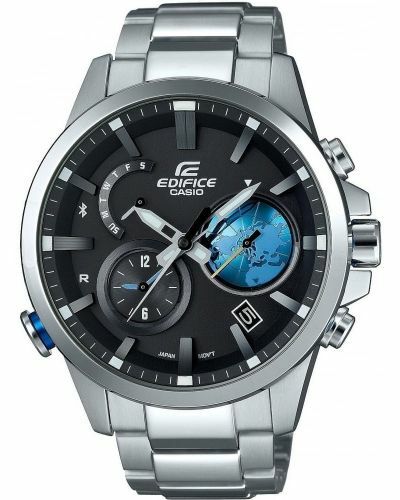 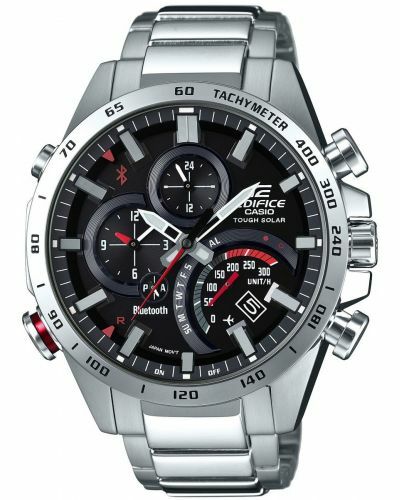 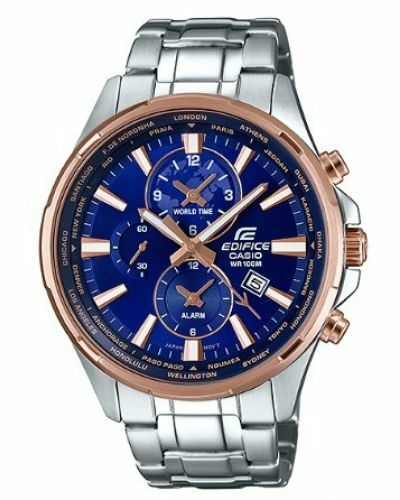 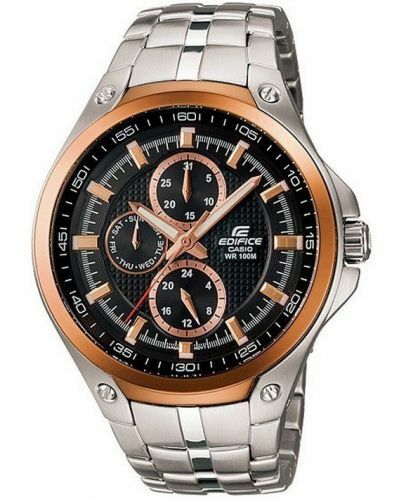 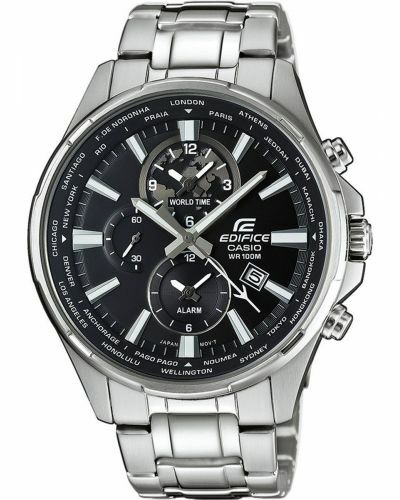 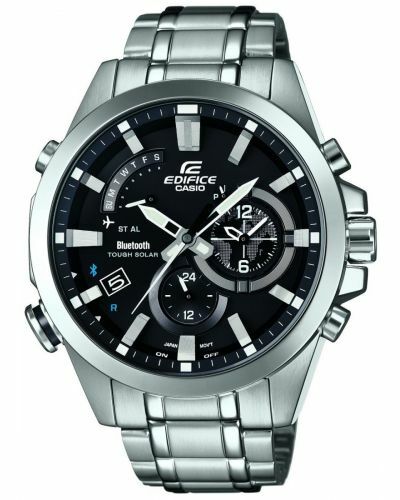 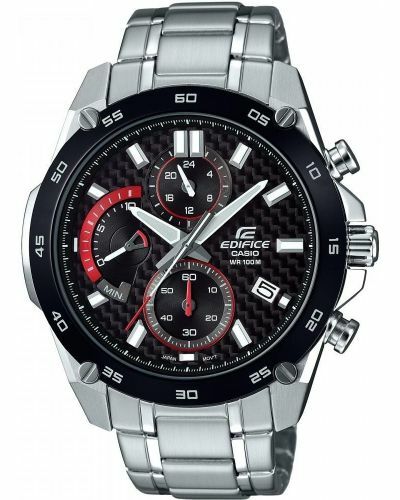 This striking men's watch is brought to you by Casio as part of their Edifice collection and features a bold 46.1mm stainless steel case with a black engraved bezel. 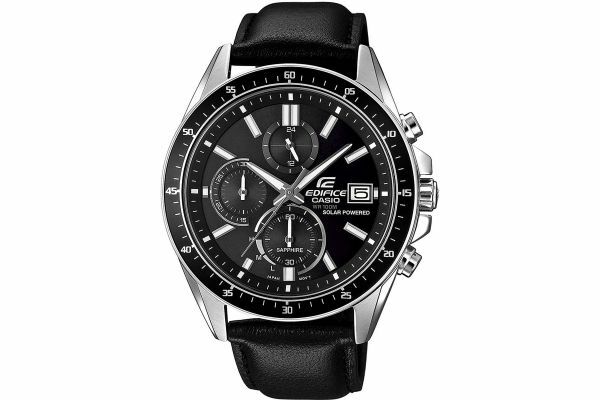 Housed beneath protective scratch resistant Sapphire glass lies the alluring black sunray dial complete with Chronograph/Stopwatch sub-dials and a 24 Hour clock display. 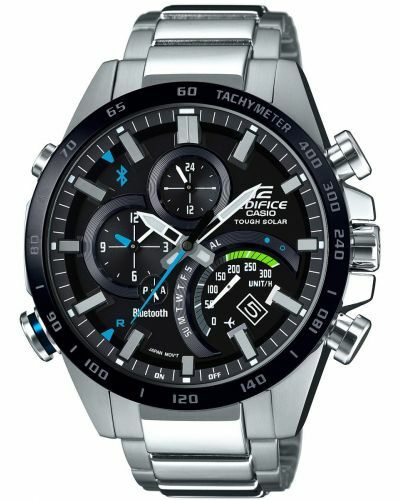 A date display window is located at the 3 O'clock position. 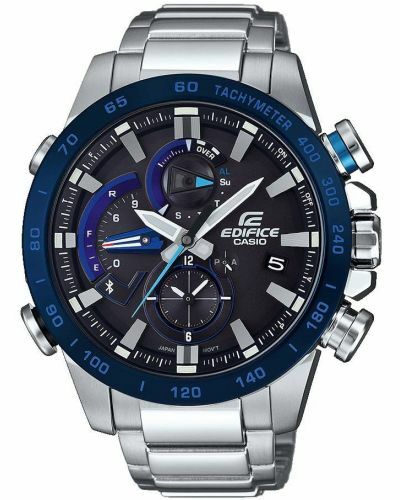 The large hour hands are coated with a luminous material which allows for clear visiability in low light conditions and will stay luminous for up to 6 hours. 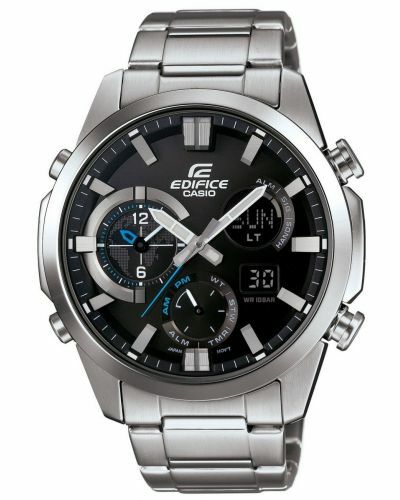 Powered by a solar powered movement; this watch will never require a battery change and will remain charged for up to 6 months per light exposure. 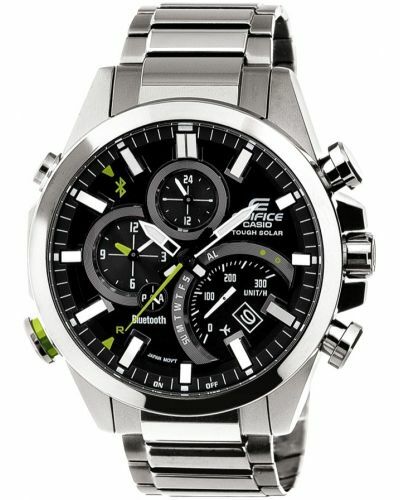 EFS-S510L-1AVUEF is set upon a genuine black leather strap and fastens with a secure stainless steel buckle closure. 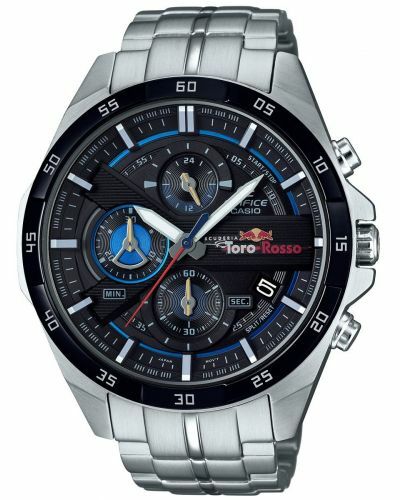 This stunning men's watch is water resistant up to 100 meters and can be worn whilst swimming. 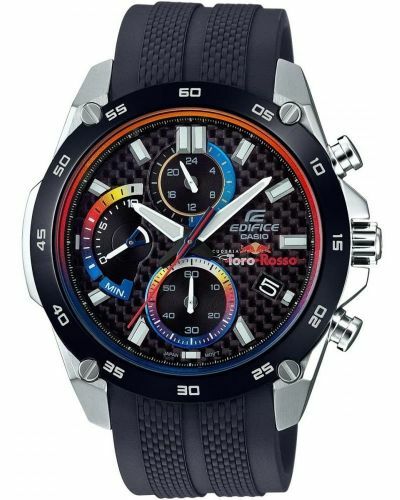 Complete with a two year guarantee and offical Casio packaging. 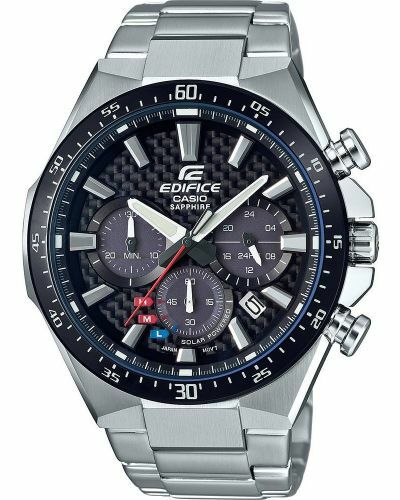 For us to size your new Casio Edifice watch as accurately as possible, please take a look at our downloadable Watch Sizing Guide.